For a quote please email hello@brittneybanks.com with your photos and ideas, including paper size and any important design details. Brittney offers 4” x 6” and 6” x 8” sizes. Please specify which size in your initial email. 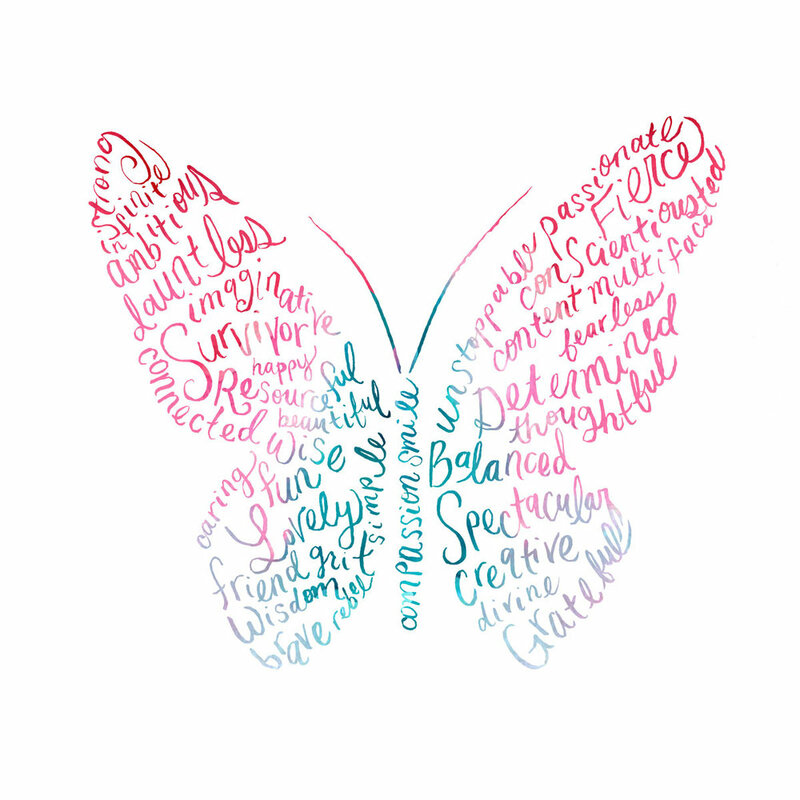 Brittney’s most popular request and the best gift! Email over a photo to get started. 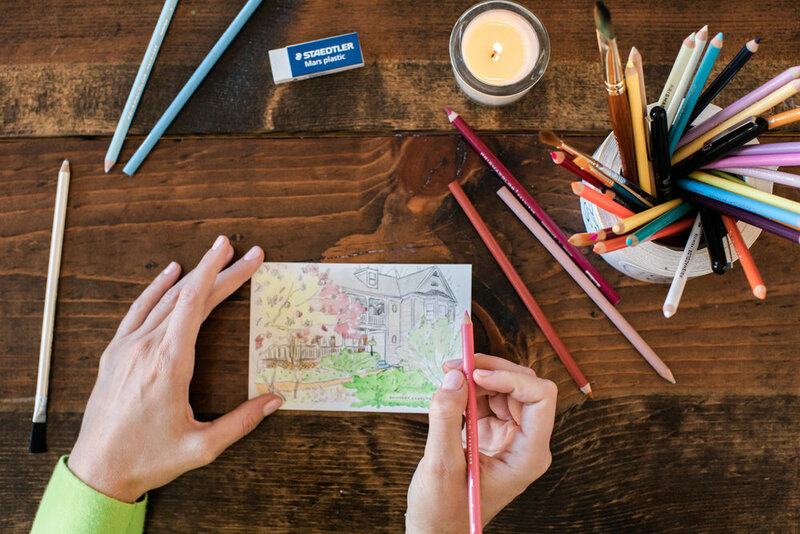 Get a custom illustration of your home and turn it into folded cards with envelopes, notepads, place cards and more! Wedding invites, party invites, baby shower invites and hand-lettering! Brittney loves working on wedding and party invites as it gives her a chance to practice her hand-lettering and work on a larger scale design project. She has experience creating save the dates, main invites, orders of service, maps, logos, RSVP cards and more. 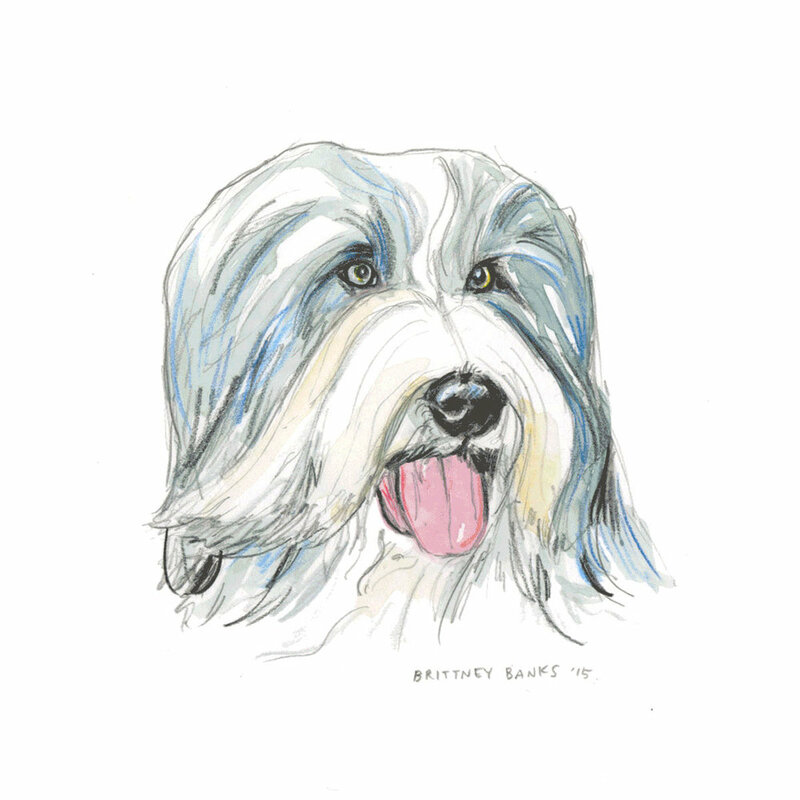 Family portraits, mini portraits, pet portraits, wedding gifts & personalized stationery. Brittney’s favorite past-time is painting life-size portraits with oil on canvas, but not many people are willing to sit for hours on end. 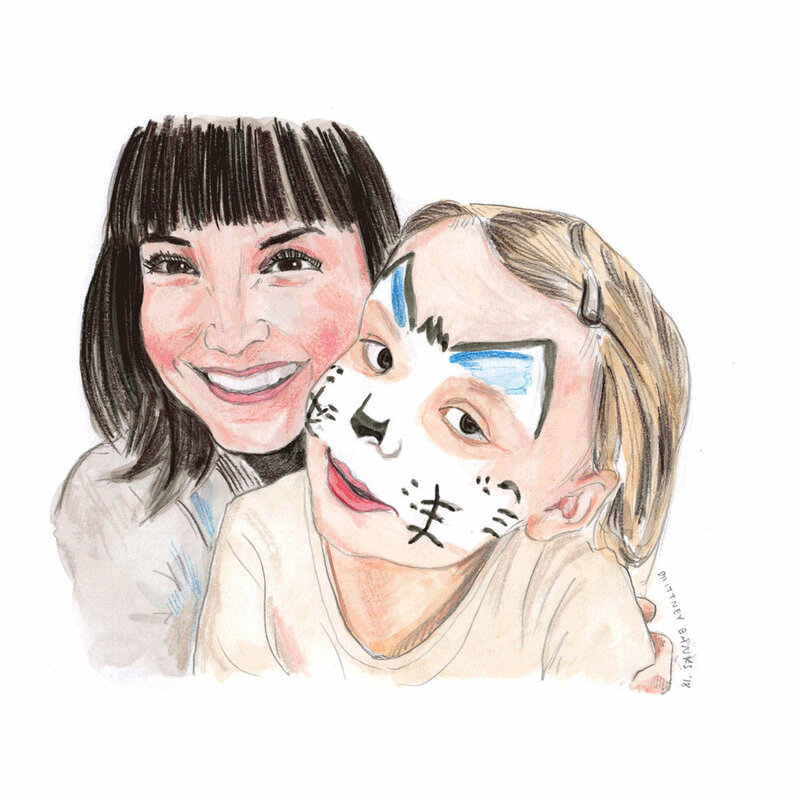 So she happily offers watercolor portraits in 2 sizes (4” x 6” and 6” x 8”) and in dozens of ways. Email her your ideas and photos for a quote. The perfect holiday or birthday gift for a loved one. 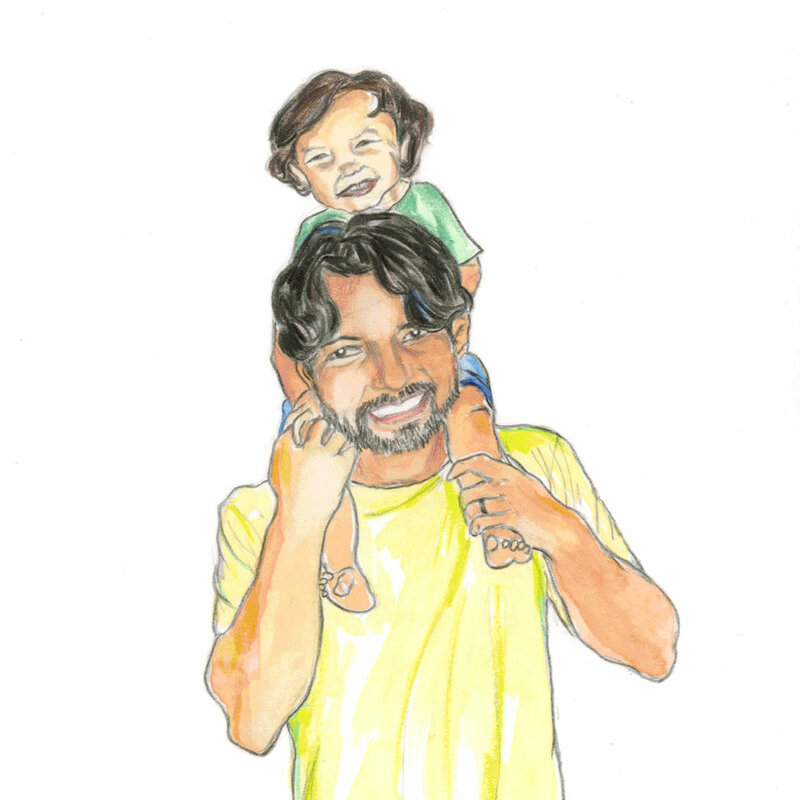 Get your favorite photos recreated in watercolor and colored pencil. 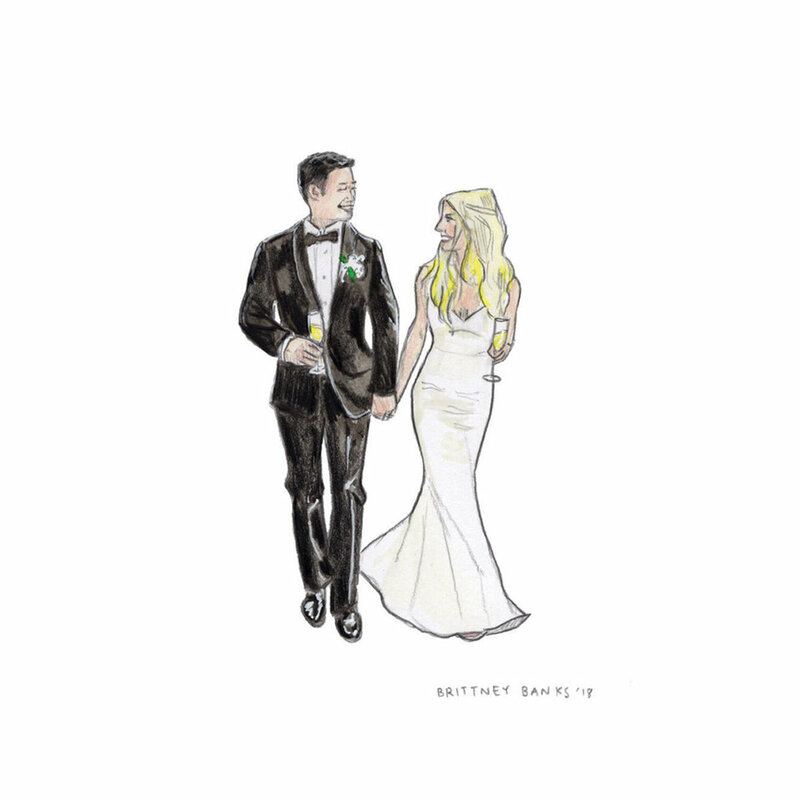 Brittney now offers a wedding gift menu which includes a 4” x 6” or 6” x 8” portrait of the newlyweds, printed flat cards, folded cards and notepads! Email hello@brittneybanks.com with your ideas to get a quote. Brittney became well-known for her ‘doodle explosion’ paper goods in 2015 with success selling to shops in Venice Beach, CA, La Jolla, CA and Harbor Springs, MI. Originally thought up for the shopkeeper looking to set themselves apart with one-of-a-kind product, this idea also works well for the avid letter-writer wanting personalized cards, the party-thrower needing invites, or someone looking to give a very special wedding, holiday or birthday gift. 3” x 3” drawings of favorite people, places and things that can be used on stationery, gift wrap, stickers, wallpaper and more… 8-10 drawings can go a long way! Email Brittney your ideas for a quote. Email Brittney at hello@brittneybanks.com with all your questions and queries!